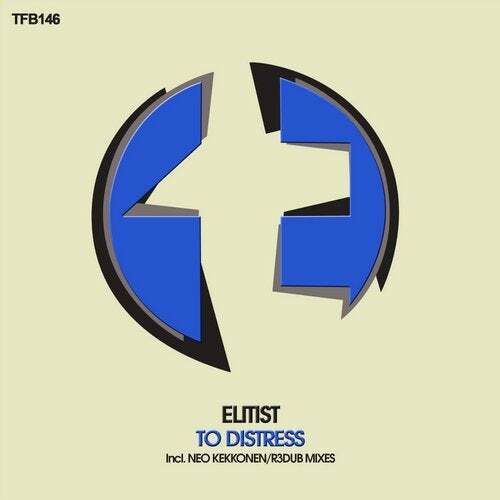 TFB Records presents its 146th release, a track entitled 'To Distress' produced by Elitist; including original mix and two amazing remixes by Neko Kekkonen and R3dub. The original song will stun us since its very beginning with a wonderful progression with some heavenly sounds. Elitist has achieved a huge quality in the mix of the powerful baseline with the main character of the song which is the melody. The breakdown releases such an incredible beauty, with very shining sounds and the great surrounding atmosphere. It is highly noticed the sweet taste of the song, amazingly mixed with the magnific work done with the whole structure and the baseline. Elitist is showing again why he is one of the best out there with this marvelous original. If you want to enjoy with a brilliant melody and with all the energy of an uplifting song, do not miss this gem! 'Neo Kekkonen 140 Remix' is the title for the first remix we find. The producer has included more elements to the atmosphere, in order to create a darker ambience to fully surround the also deep baseline. This is, indeed, a song with a very serious character. After an incredible progression, the time for the breakdown is presented surrounded by a lot of vaporous sound, which, combined with the acid melody, perform a gorgeous tension that explodes with an untold power. Very impressive work made by Neo Kekkonen, applying a totally different point of view and achieving such a great result. Closing this release we find the remix signed by R3dub, who has also bet for dark sounds on his remix. The energy of the baseline fills the entire intro, with some acid sounds being added to enhance the progression. These sounds lead us into the breakdown, where everything changes. A vaporous and magical atmosphere calms down the mix, incredibly combined with the melody it turns to be a very beautiful piece. But the tension starts soon and a very quick uplift will cut the magic and will take us back to the law of the power. Awesome structure made by R3dub, creating a very intense track full of energy and with some magical winks to surprise all the uplifting lovers.